Nothing like discovering Madrid through the freedom a bike can give you. Enjoy the stories that every building and street has to tell on this two-hour tour of the city. Madrid is a city to be discovered. Let yourself be surprised around every corner. Every street and every building has a story to tell. 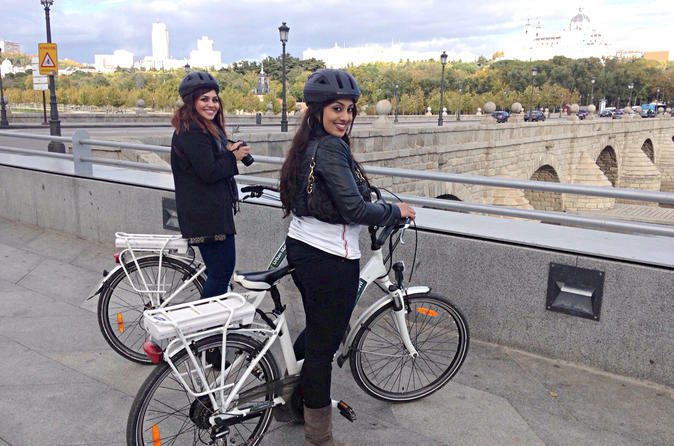 Make your experience in Madrid something unique by exploring it from a bike. You will discover the city in a unique, fun and ecological way. You'll have two hours to explore the city at your leisure. Bike to Buen Retiro Park and discover the statue of the Fallen Angel. Then, go to Paseo de La Castellana and Recoletos and get to know the Madrid Business, or just go through the streets of Barrio Letras or Madrid de los Austrias. The city's streets that are designed to enjoy your biking.